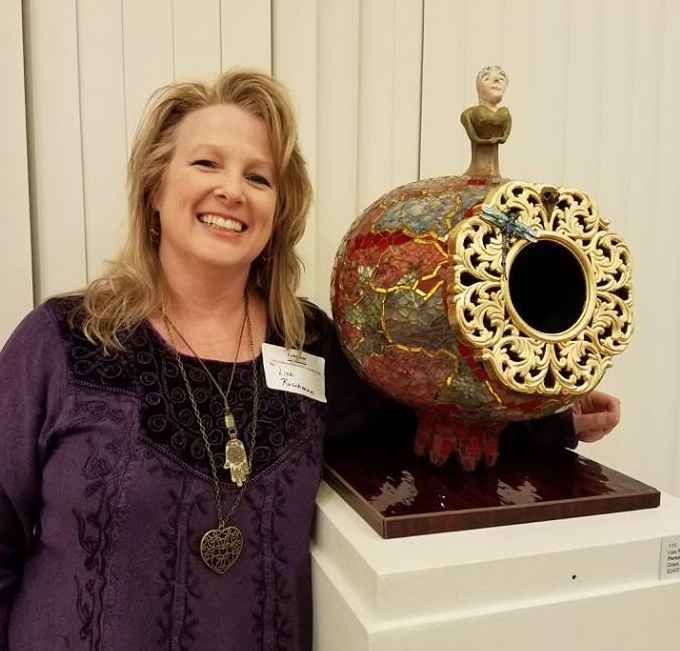 Lisa Ruschman has been an artist for more than 25 years, specializing in glass work, mosaics, and fine art. Starting out in the traditional way, she began making leaded glass panels and windows. Lisa began to expand her business, pushing the limits on glass making and experimenting with the wonderful medium of glass. When approached about the ability to contain the cremains of a loved one in a pendant, she began creating these precious keepsakes. After years of experimenting with these techniques, she now offers these products of love, which incorporate the cremations of ash into a glass pendant.